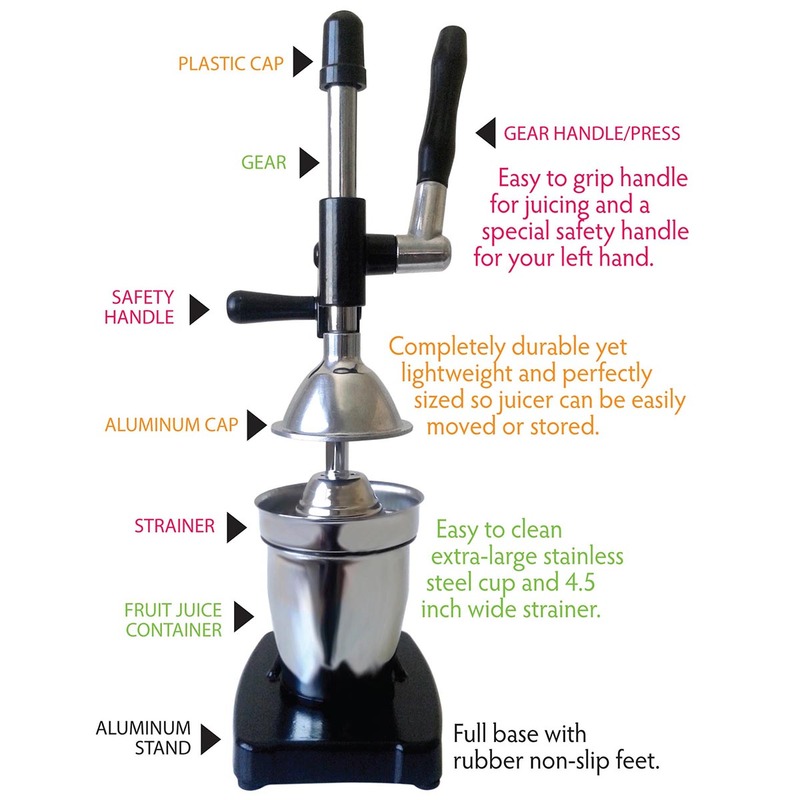 A favorite at juice stands and restaurants, this commercial grade Pomegranate and Citrus Fruit Juicer is now available for home use. 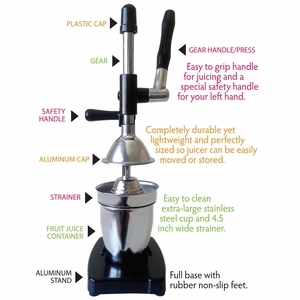 Easy to grip handle and cleverly engineered gear system allow you to juice easily using less effort. The juicer presses only the fruit and not the bitter pulp so that you will enjoy fresh and sweeter tasting juice. Attractive Stainless Steel and Black design will match any home décor. Fresh juice tastes superior and has no preservatives or added sugars - use in shakes and smoothies, protein drinks, popsicles and frozen treats, cocktails and spritzers, homemade salad dressings, sauces and marinades. 4.5 Inch wide strainer and stainless steel cup holds 20 ounces. The stainless steel strainer and cup are dishwasher safe. Clean the juicer by wiping it down with a wet paper towel and drying with a paper towel.